The upsurge of Ugandans employed in the Middle East brought to light the weaknesses and abuse of the labour export process. While Uganda had bilateral agreements which granted employees’ rights, these rights were abused because of lack of system to licence exporters, ease job matching and attendant processes. The Ministry of Gender Labour and Social Development turned to SMSONE to design and develop and integrated External Employment Management Information system to plug these gaps. 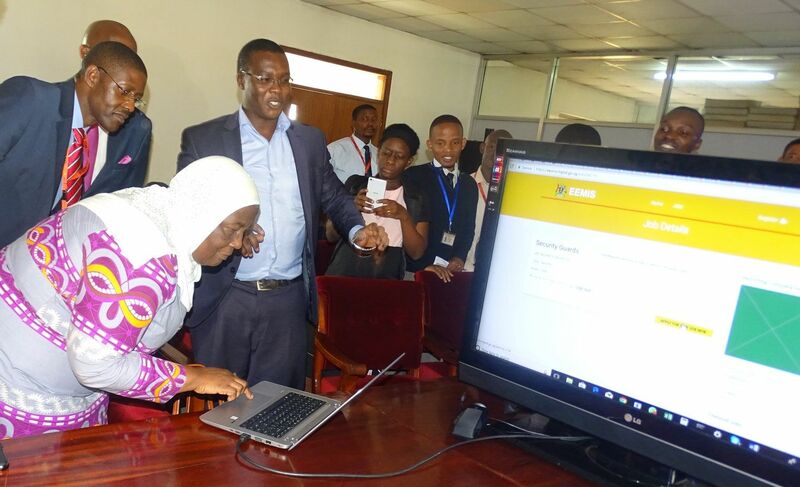 As the line ministry for labour management, the Ministry of Gender Labour and Social Development wanted to bring more accountability transparency and efficiency in the administration of external employment services via automation and digitization of key processes. SMSONE delivered a secure and integrated External Employment Management System for the Ministry of Gender Labour and Social Development. The web-based system has already processed more than 100,000 job applications and licenced close to 100 export companies.